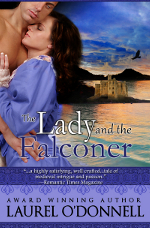 Save 50% on the medieval romance novels The Lady and the Falconer & Midnight Shadow by Laurel O’Donnell. This special historical romance novel sale offered on AllRomanceEbooks ends August 31st. This entry was posted in Promotions, Romance Novels and tagged midnight shadow, special offers, the lady and the falconer. Bookmark the permalink.